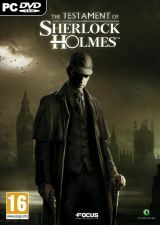 Sherlock Holmes is the primary suspect in a case involving theft, fraud, and double-crossings. All evidence points towards Holmes, and London is beginning to lose it's faith in the detective as the news spreads. Even Watson begins to have his doubts when Holmes flees Scotland Yard.